I was delighted when General Hasthurusinghe called me last month to tell me that he had been awarded the GUSI Peace Prize by the Philippines based Gusi Foundation. And I was deeply touched at the ceremony at the Sri Lanka Foundation Institute to witness the commendations and congratulations from worthies of Jaffna, at a felicitation they helped to arrange for him. This was the more significant in that I believe that this prize is a symbol of something more than simple recognition of the work of an impressive peace-builder, it is also the first clear recognition internationally of the tremendous achievement of our forces in pursuing peace. An army in the modern world faces challenges that require initiative and understanding that an earlier age could do without. It requires firmness in the face of unremitting and subtle hostility, but it also requires flexibility, since the theatres of war and peace overlap. In dealing with terrorism, when negotiation and discussion prove futile, because of intransigence, one has to pursue a military goal relentlessly. But one has also to be constantly aware of the context in which terrorism flourishes, and deal with that context with sympathy and skill. This was the challenge that faced us at the conclusion of hostilities and the destruction of the LTTE in Sri Lanka. Until that happened we had to be constantly vigilant and forceful in the field, though I believe too that we were more careful about civilians than any other army dealing with terror. After the war though we had to concentrate on restoring confidence in the people who had been so brutally abused by the LTTE in the preceding period, and who were also distrustful of us because of skilful propaganda. Having read through the Progress Report of the Ministry of Defence, and listened to remarks of the Opposition, in Committee Stage and earlier, it occurred to me that it was with regard to this Ministry that there is the greatest inconsistency as to the several arguments the Opposition, in its collective wisdom, advances to criticize this budget. 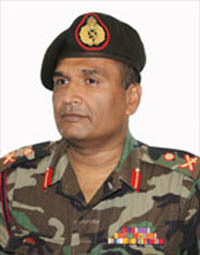 Given the wide range of new initiatives undertaken by the Ministry, with very little additional expenditure, it is easiest to defend the financial policies of this government with regard to the Ministry of Defence, even though trying to attack it has been the favourite pursuit of the collective opposition over the last couple of weeks. Most entertaining amongst the other recurrent themes in the speeches we have heard was the tremendous concern expressed for the toiling masses, as the UNP in its latest neo-Marxist incarnation calls the people of Sri Lanka. Such concern is understandable in the JVP, but to hear this from the UNP and the TNA suggests what might be termed crocodile tears. These tears are accompanied by much confusion. Mr Sumanthiran, normally very erudite, complained that a percentage increase in wages for public servants would not help with poverty alleviation. It seems he does not understand what actual poverty means, given the statistical tools used to define poverty so as to focus government intervention on the worst off. In comparison with them, all public servants earn a decent wage, the lowest paid for instance earning about 4 dollars a day now. 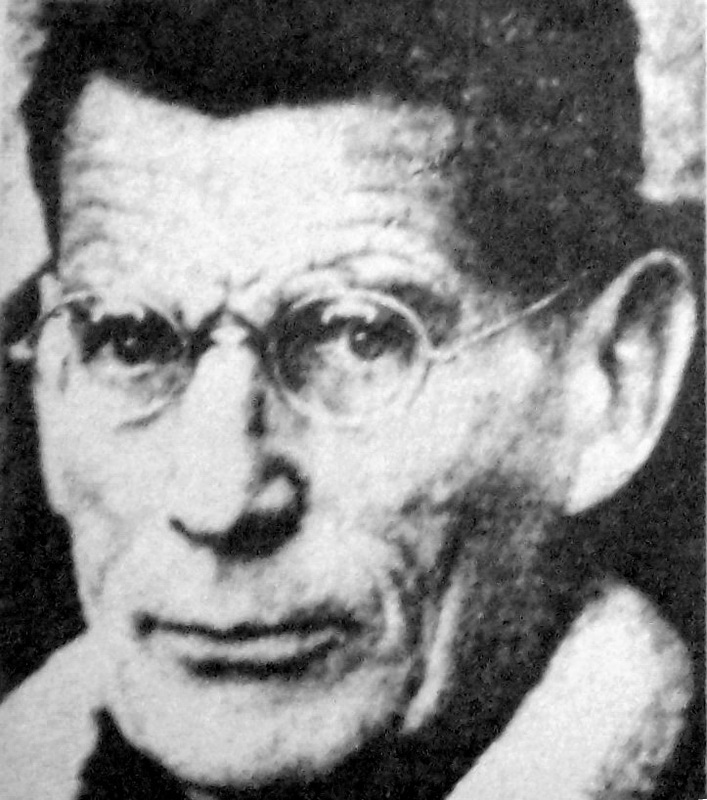 Nearly half a century after Samuel Beckett, the Nobel Prize for Literature was awarded to another British playwright who was as influential in his way as Becket. 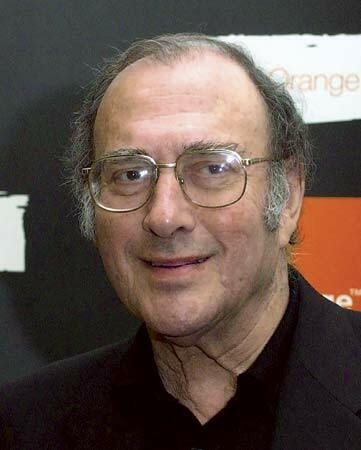 This was Harold Pinter, who came into prominence in 1958 with The Birthday Party, and who continued to produce interesting and important plays over the next half century, though nothing perhaps quite rivaled that powerful critique of all-controlling and pervasive authority. I saw it in the sixties, in one of those exciting British Council tours that covered a range of good British drama, in days too when well established names came on Council tours. The figure I remember was Mona Washbourne, who was brilliant as the landlady who tries to protect her strange and vulnerable lodger. This odd young man, Stanley, had washed up in her boarding house, with no prior history that she could find out about. She is surprised to find he is of interest to two sinister men who give out gradually that they are officials, sent to check up on him. They demand papers and a history and get less and less tolerant as it transpires that Stanley has no records and no plans. She hopes to settle the tensions by having them at the birthday party she plans to give Stanley, along with a young lady she hopes will be of romantic interest to him, but the event is far from fun. After forced joviality and heightening tension, party games turning frightening, and Stanley loses his cool. He reveals dangerous depths of violence, so that they take him away. The landlady has come close to having been killed, though whether that was Stanley acting or those who manipulated him is not quite clear. However she has no option, the next day, but to pretend that nothing untoward has happened, and to get on with her life, back now to the companionship only of her stolid and silent husband – who had however briefly come to life in urging Stanley, as he is taken away, not to allow his oppressors to tell him what to do. In discussing the votes of the Ministry of External Affairs, Mr Speaker, we should look at the situation in which Sri Lanka found itself five years ago, and what we have now. In those days, we seemed to be wholly dependent on what called itself the international community, so much so that representatives of that community thought they held the balance between conflicting forces in Sri Lanka. Sadly, so deep had the rot sunk that it was outsiders who had to make the position clear, while some of those who represented Sri Lanka spoke slightingly of military solutions to the terrorist problem, and thought it their duty to keep what they thought the international community satisfied. The United Nations in those days in effect provided funds to a terrorist movement, and made excuses for child soldiers, claiming that the LTTE could not stop recruiting youngsters of 17 until they had amended their legislation to prevent this. Ambassadors to Sri Lanka preached to us about reconciliation, and expected us to fall in line with whatever they prescribed. High Commissioners felt free to denigrate government officials, and swallowed wholesale stories spun by crafty journalists. Funds intended to assist the Sri Lankan people were not given to government, nor indeed allocated in accordance with government priorities, but were rather given to agencies that thought their rationale was to attack government. All that, Mr Speaker, has now changed – though I should note that there is more work to do in this respect, for instance to ensure that our national institutions are built up instead of international funding continuing to go to external agencies, with no regard for our own priorities. And we must continue to register clearly, and work in terms of, the simple fact that any country will base its foreign policy on the interests of its own citizens. Less acceptably, we must understand too that some politicians will confuse the interests of their country with their own personal electoral considerations. Unfortunately, in having relied so heavily in what the Opposition thought of as its Western safety net, we laid ourselves open to abuse when those holding the safety net put their own safety first. Transcript of an interview of Prof Rajiva Wijesinha by Al Jazeera, regarding photographs alleged to be of incidents during the last days of the war against the LTTE – 10 November 2010. I: These very graphic photos show people being massacred, some of them execution style. Does the Sri Lanka Government still deny that human rights abuses were committed during the war? Now since the very video showed people shooting people at close range, you know the idea that some man was intoxicated and therefore his leg collapsed, it was perfectly part of a genuine video, is nonsense. These particular pictures that you’ve shown now, I don’t have them with me, they surfaced when I was in London 2 weeks ago. I agreed to do an interview with you and then you suddenly cancelled it because you were worried about the genuine nature of these pictures. Now you tell me that you still haven’t actually got any authenticity now but you still spread these rumours. (She interrupts continuously). I: These photographs cannot be verified. Okay? These photographs, as you’ve been saying, cannot be verified, surely that’s what an independent inquiry would be able to do. RW: What I don’t understand is why two weeks ago you wouldn’t telecast this, when I actually had the photographs with me when I was in London, you cancelled the thing. And now two weeks later, without any further information, you are surfacing this story. Now all this is exciting for you but it’s really very unfair. Someone said we’re trying to close debate, we don’t want to close debate! We are very open to debate. (She keeps interrupting). The debate must be based on evidence, young lady. I: Is the Government still refusing calls for independent inquiry into these allegations of Human Rights abuses? RW: We have always said that any allegation will be investigated. We, meaning our own inquiry that’s going on, is perfectly independent. We have asked for evidence. For instance, with regard to the Alston video, we said, ‘Look, each of you say you got this from people. Let us know when this incident happened, where it happened.’ Philip Alston could not even get the Channel 4 video because his so-called experts testified that he had to go and get another copy which is different from the first copy. I mean, this type of real fraudulence should not occur in a serious television station like Al Jazeera, which is normally very circumspect, as indeed you were two weeks ago (she interrupts). Please make sure not to propagate lies because the UN has denied that 7,000 figure, very, very clearly. The ICRC figures have a maximum of 6,000 odd wounded, and you know perfectly well that includes combatants as well. You know perfectly well that the ratios are like 4:1, which means the dead are much less. If British Nobel prize winning novelists have been few and far between in recent years, the same is not true of dramatists. Actual numbers may be few but, given that dramatists are a comparatively rare breed who rarely win the prize, it is notable that, in addition to Bernard Shaw, two modern British playwrights have been so honoured. The first of these was Samuel Beckett, though it may be stretching it to call him British. Like Shaw he was Irish, and he spent most of his working life in France, and wrote much of his work in French. He wrote quite a lot, fiction as well as drama, and some of his later work has received favourable critical attention and is often performed. However there is little doubt that he would not be remembered at all, except by a few specialist students of literature, were it not for a single work. I refer to Waiting for Godot, which may well be considered the quintessential artistic expression of 20th century angst, that useful German word that means so much more than the English word anguish does, conveying as it does a sense of deep social and psychological trauma. Recently I read a thesis by a former student of mine which set the work solidly in the existential literature of the century, existentialism being the literary philosophy that dominated serious socio-political literary activity in the quarter century after the war.